It’s been a long time coming. The former Scalini’s, a paragon of dining in the city, has been taken over by the formidable Tamarind Springs group, the people who bring you IL Tempio and Mandi Mandi, in a major makeover that sees a lovely new (sort of) restaurant take over the premises, Tamarind Hill. Funny how history repeats itself: it’s been 10 years since Tamarind Hill had its day in the old location and now it’s back in a new concept and execution. It’s a gorgeous space, lined with hill tribe artefacts that owner Federico Asaro has acquired on his extensive travels in the Golden Triangle area where he gleans his recipes and concepts. There’s gurgling water elements to placate the soul and the outside deck of the restaurant is cool as can be, an oasis in the downtown and I’m happy to report, the quality that preceded it is carried on here. But ok, enough blather about that, onto the food. Overall the food has a home-cooked goodness about it. The dishes are not overly dressed up but the taste is authentic. The Mandalay Chicken and Potato curry may be mild to our tougher taste buds but it has a rich yet mellow flavour that goes very well with rice. The Sweet and Sticky Rice with Mango (RM18) was delicious and not overpowering, exactly what it should be. Usually these dishes are meant as some kind of bread basket substitute but this was terrific, not too filling nor unsubstantial. The Stir Fried Chicken with Pineapple and Cashew Nuts (RM28) was lovely and filling; the chunks of flesh were lightly treated and melted under the pineapple influence, yummy. A salad that was ordered on a whim wasn’t at all necessary. The dessert menu wasn’t extensive by design and rumour has it that a new menu offering ‘healthy heart dishes’ – as certified by a cardiologist no less – is being readied at the time of press. Fairly high-end but the price is kind to the wallet. 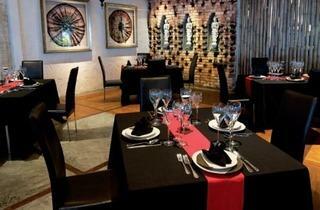 Tamarind Hill was shortlisted Best Thai in the Time Out KL Food Awards 2013. It was voted Best Thai / Indochinese Restaurant in2009. Our food awards are 100% voted for by the people of KL. This way, we guarantee that popularity and consistent performance are rewarded. 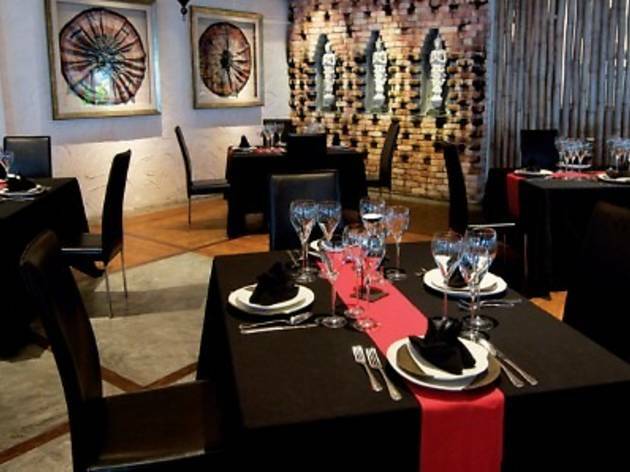 Beautiful atmosphere, good food and service, strongly recommended if you want a romantic and quiet dinner place!